One common argument against building new urban housing is that cities are geographically constrained by their natural and political boundaries, and thus can never build enough housing to bring prices down. This claim rests on a variety of false assumptions. The first false assumption is that the amount of land in a city limits the amount of housing in that city. If you assume that every bit of residential land must be occupied by single-family houses on 1/5 of an acre on land, I suppose this assumption makes sense. But in reality, you can always put more people on a block of land. Where today you have big houses, tomorrow you could have small houses. Where today you have small houses, tomorrow you could have small apartment buildings. Where today you have small apartment buildings, tomorrow you could have large apartment buildings. Even in midtown Manhattan, where I live, there are lots to two-to-four story buildings that could be knocked down and replaced with larger buildings. If Manhattan had the density of Mongkok (a popular Hong Kong neighborhood with 340,000 people per square mile), it could accommodate almost 7 million people- about 80 percent of the city of New York’s population. * And if Manhattan had enough housing to accommodate Mongkok-type densities, a whole lot of housing units (either outer borough units or older Manhattan units) would become vacant, causing rents to plunge. The second assumption is that a city’s built-up core is its entire housing market. But this is wrong, because Manhattan landlords compete not just with each other, but with landlords in the outer boroughs and the suburbs. So if enough housing units were, for example, built in New Jersey, demand for housing in Manhattan would eventually decrease. *A common counteragument is that demolishing and rebuilding housing is expensive. This argument fails tor two reasons. First, the differences between high-cost cities and low-cost cities have far more to do with land costs than with construction costs. For example, metro San Francisco’s construction costs per housing unit are only 1.7 times higher than those of Atlanta, but its metro land costs are more than fifteen times higher (data here). And, cities CAN build up as noted. However, a building costs more as the builder adds floors. That leads to either a cheaper, worse building or a building so luxe it is out of reach for most. 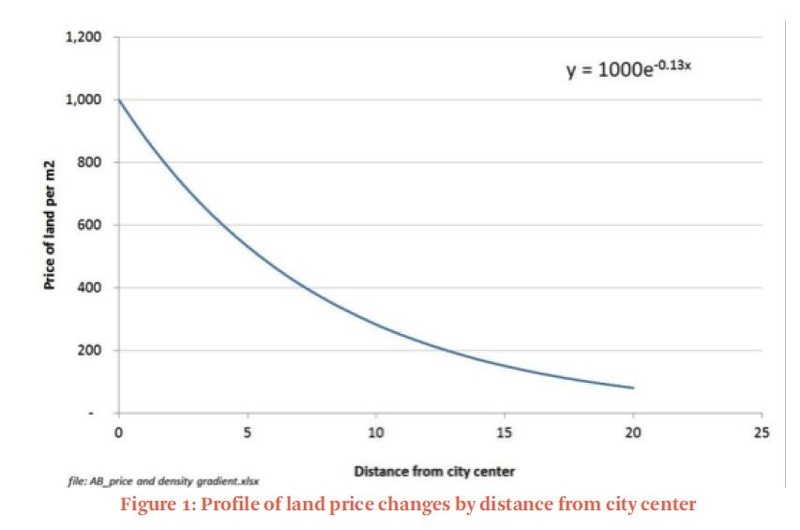 Land values are probably the most pernicious driver of the constraint fallacy. A policy solution is the elegance of the land value tax, which provides a carrot to build (untaxing the building), and a stick (driving down the cost of land with a higher tax rate). The stickup artists known as landowners do have title to the land, but they have no obvious right to all the land value gains that we, the taxpayers create. More magical thinking from market urbanists. 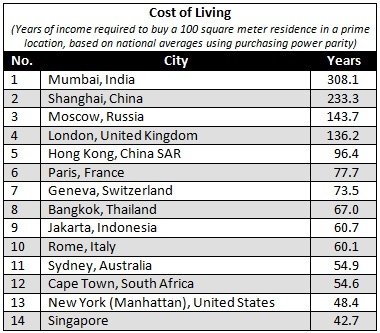 Housing in Hong Kong is the most expensive in the world, by far. Fine, then maybe Tokyo or Singapore. You miss the point. 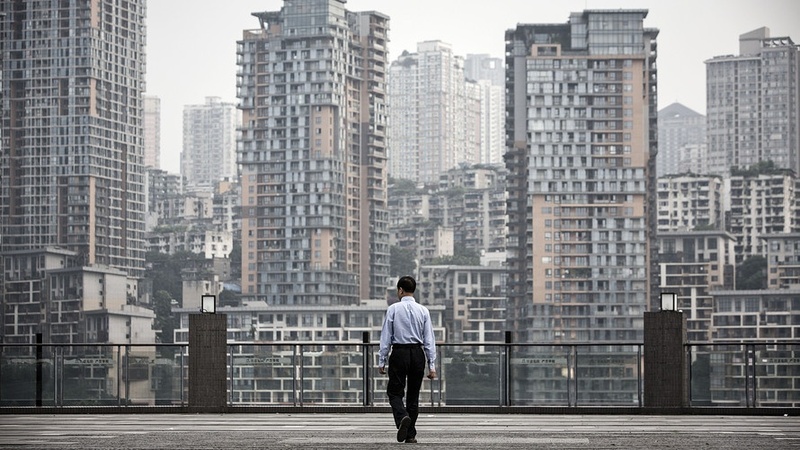 The author is not bringing up Hong Kong in order to say this is how you can become affordable by itself, it was nearly being pointed out that even Manhattan can be much denser. There exists outliers everywhere when discussing ways of becoming affordable. What China does not seam to have is the consistent unaffordable big coastal city problem like we do. They have problems as well but ours, if evidence matters to you, is clearly the American love affair with single family homes and veto power over development. Singapore does not support your case either. And yes, Japan is the outlier in this case, for many reasons… mainly deflation, which always strikes land hardest (just as inflation does); demographics; and immense sprawl powered by public transit from land value capture. Cheap Singapore? Chinese coast cities aren’t expensive??!! Singapore is the second most expensive city in the world by some measures followed closely by Shanghai. Tokyo is NOT cheap. There is often some confusion about Tokyo. Tokyo city was abolished and merged with Tokyo prefecture during WW-II to contain it’s anti-war sentiment. Foreigners who don’t know that confuse the relatively stable and inexpensive land in the prefecture as a whole with what feels like Tokyo city (which doesn’t exist). The prefecture is huge (845 sq. miles) and stretches into great swaths of farms and fields in the west. Best to look at the 23 ku of old Tokyo. 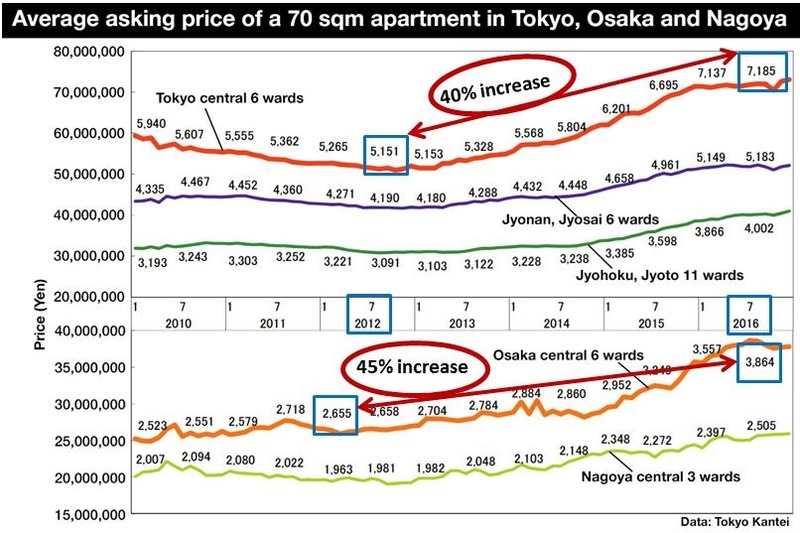 There Tokyo rents have risen 40% in the last few years due to increasing migration into Tokyo. (about middle of blog post – do “ctrl-F Tokyo” to find the spot). No data here. Why is that? There are tons of data out there on density and costs, and commute times so why not use them to support your argument. Except I can’t tell what the point is. So you can build higher and denser? No one disputes that. Do you want every place to look like Chonqing China here? What you can’t do is build higher and denser and keep it affordable and keep commutes from becoming so burdensome people can’t stand it any more. Here is NYC population over time. 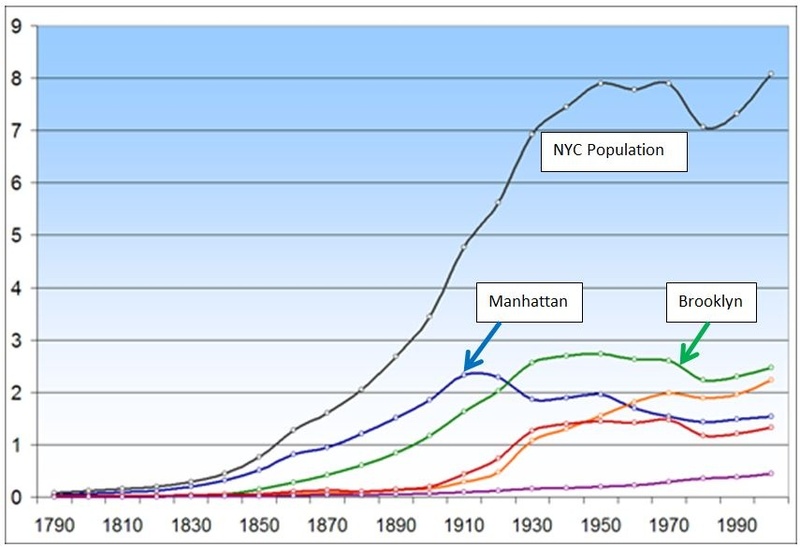 Manhattan peaked in population in 1915. It is off over 700,000 from that peak. Brooklyn peaked in 1950s and lost population after that. Why? Because most people don’t want to live in high rise apartments. They couldn’t stand it any more so they moved to the suburbs of Brooklyn as soon as they got the money. Then after WW-II people left Brooklyn for the suburbs of Long Island and NJ as soon as they got cars. Here’s a recent Zillow analysis of home buyers. 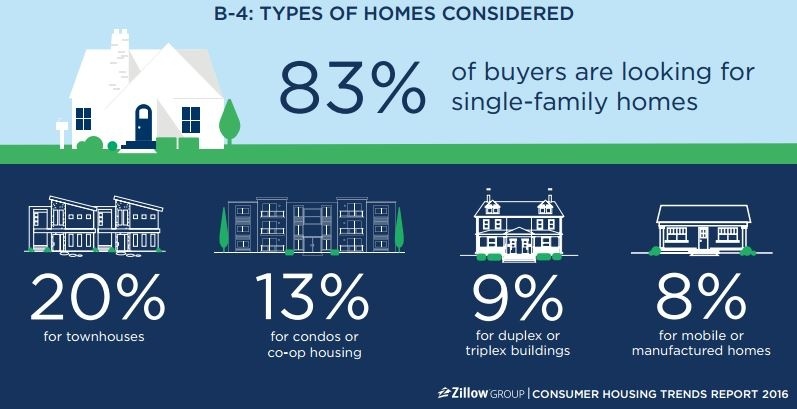 83% want a single family home. Try and stop them. And I would suggest if people only got what they want, we would not have a functioning society. I want to make a lot of money, not pay any taxes, and get free health insurance. That’s what *I want*. That is not a solution. It is not reality. And the discussion on how we grow our cities needs to substantially change, since 85-90% of ALL people in the world will be living in cities. Sorry, the single family home had its time. That time has ended as the primary focus of city development. In fact, I would suggest single family homes should not be allowed in any urban core. Grandfather the existing one, but no more. We need more diversity of products and we need to change the way the developers think and look to make their money. They don’t do these things on their own, they need to be encouraged. Good luck getting that to happen in a democratic country. Nothing to do with democracy…it’s a policy and planning decision. It is a strategy. Planners and policy makers ultimately report to those elected by the people. Yes they do. The elected officials need to protect both the city and the residents. We residents don’t always know what we need. Elected officials need to navigate that process. It’s like hiring someone that tells the truth or a “yes” man. If you believe elected officials are “yes” men, than yes, you need to do whatever the people that elected you say. However, if you believe elected officials are there to represent the people, then you need to do what you think is in the city and region’s best interest. We need to have some frank and honest discussions with all cities in the area. It is not a “Sunnyvale only” or “Santa Clara only” or “San Jose only” decision. We need to look at the issues as a regional discussion. Maybe we could look at Santa Clara County as a whole and see where density would be beneficial, based on job location and potential future job location. Cities that intensify, they get funding from other cities not doing it. So San Jose can build 45,000 units in 5 years and get funding from the neighboring cities that *don’t* have to carry the housing burden. I don’t need to play a game of whack a mole here. Affordability indexes vary based on the measures being applied. This format of discussion is not in depth enough to deal with things like the decoupling of income inflation with real estate inflation or transportation requirements. So let’s think more abstractly. Michael, I think your assumed math is misleading. It is true that building in an urban core does have some costs that greenfield development does not have. It is also true as a building goes vertical per sq foot costs increase. So there will inherently be a higher per sq ft cost be denser. But that difference is not near enough to explain the out of control costs of our most desirable cities. But as I am sure you can figure out if land costs more and You build more on it it is conceivable that the cost per sq ft remains the same. Another factor to consider is that small high rise apartments always look more expensive per sq ft compared with low density single family housing. This is because starting a home is expensive, a kitchen is expensive, but empty bedrooms are cheap to build. So small apartments have a greater density of high cost use as opposed to wasteful single family homes that often have large portions of cheap space. It is not you but I and others who are playing ‘whack-a-mole’. You say a city is “cheap” and then we point out that the city is not cheap, then you name another couple of cities and we point out those aren’t cheap either. If you make a claim, you need data to support your claim or it may not be true. Then your credibility lessens. “Affordability indexes vary based on the measures being applied.” So show some high density cheap cities with metrics that support your hypothesis. I don’t think there are any but prove me wrong. The 3 cities you initially chose as examples are clearly expensive by any metric. “But that difference is not near enough to explain the out of control costs of our most desirable cities.” That is true – nice we agree on something. Some of the cost is due to those cities being considered more desirable, some is due to nearness to sources of venture funding, some is due to Foreign Direct Investment, and some is uneven job growth. “First an increase in the population size has fairly straightforward effects. Indeed, a rising population makes competition for land fiercer, which in turn leads to an increase in land rent everywhere and pushes the urban fringe outward. This corresponds to a well documented fact stressed by economic historians. Examples include the growth of cities in Europe in the 12th and 19th centuries as well as in North America and Japan in the 20th century or since the 1960s in Third World countries.” (From page 83 section 3.3.2: Economics of Agglomeration:… by Fujita, Thisse – a graduate text in Urban Economics). On first 3 paragraphs: Let’s see if I get it straight? Problem is choosing the wise “philosopher king” who tells the other 99.9% of the people what is best for them. How do you do that? Or more precisely, how do you do that without provoking revolution – if not at the ballot box, then at the barricades? The last two paragraphs I mostly agree with but you have the geometry backwards. The jobs should be in the center and the housing should encircle the housing. 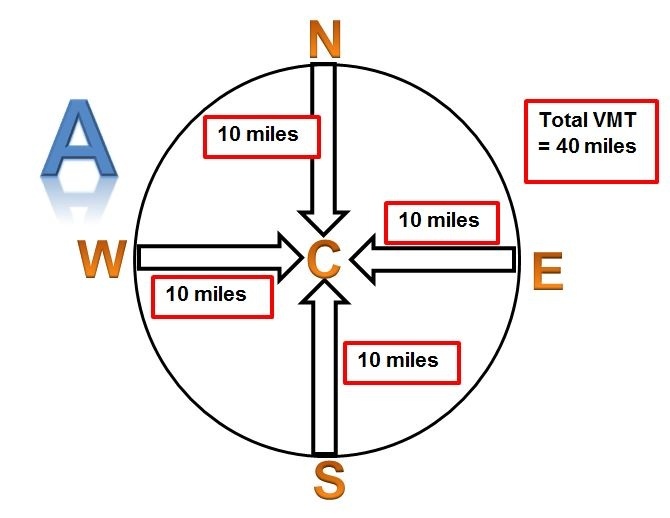 In this simplified diagram, the people on the edge of the circle at N, S, E, W, need to commute 10 miles each while the person in the center needs to commute zero miles. (Having trouble putting 2 diagrams in the same reply so…) in the next “reply” (to this post) consider the case where all the jobs are situated on the edge. N had to commute 10 miles before but 20 now, C had zero commute before but 10 miles now, E and W had 10 miles commute but 14 now. 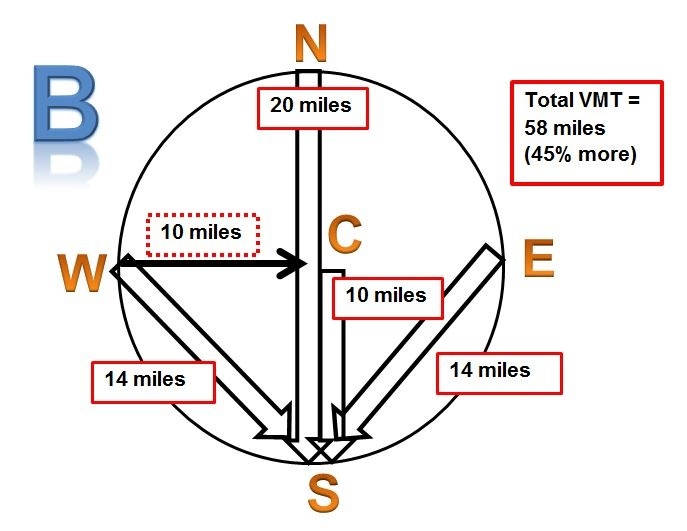 Add them all up and you get 58 miles total commute instead of 40. That is 18 miles more or 45% more than with all jobs located in the center. There is a tendency for cities to dynamically arrange themselves in this way, although many other factors come into play. Certainly for a transit planner, a centralized business district is optimal. You right I am not posting academic articles. Either are you. I am not because I don’t have time while I work full time, raise two kids (2 and 4), and am in grad school. This Twain dude makes a few mistakes that blow up his argument in my opinion. First he does nothing to address the causation/correlation problem. He points out dense places currently are expensive. Yes they are but that does not mean it is because they are dense necessarily it just means people want to live there and there is not enough of it. We do not know how many people would opt to live in very dense places until people stop moving there. Next he tries to explain that supply and demand does not apply to housing by saying there is no new land. True there will be no new dirt but every new floor is essentially doubling the land. So land is not fixed beyond our ability to extract resources to build floors. I could spend a little more time finding actually academic articles that show supply and demand does in fact apply to housing but it would be like pulling up academic articles to prove gravity exists. What a waste of my time. Ok whack these moles Mumbai, Panama City, Johannesburg. Houston for that matter. Why the metrics matter is because lets just say in Singapore it is in fact expensive to own a condo. If that person does not need to own a car well then that more expensive place is not actually more expensive to live in. Lets say it is expensive but not if you actually live there because higher incomes, cheap food and goods mean that there is plenty of extra money left at the end of the month. Or just simply the absurd cost measurement of per sq ft. If you live in a 700 sq ft condo it can be more affordable than a 1300 sq ft house that is half as much per sq ft. And finally it costs less to furnish, maintain, and heat/cool a small apartment. As for the discussion, I am admittedly a person who prefers face to face conversations. I don’t like sitting in front of computers. If you are ever in Portland sometime lets chat, I am a friendly person who likes Imperial Red Ales. Portland that by the way is increasing in density and has finally seen supply turn on and rent inflation turn into deflation. Here is a source for you http://cityobservatory.org/signs-of-the-times/ . If someone up top did not challenge segregation or slavery at that time based on the will of the people those institutions would still exists (yes in some ways they still do). Should we allow climate change science be left to popular vote or science and facts? Besides you clearly have a love affair for the sprawls singly family misery that has plagued our country. One that would not exist without huge government intervention in the market. If anything this website is arguing that let us see what a free market in housing actually produces. Because I think suburbia would not win. Sure people claim to like their single family house in a residential only community but I think if you dig deeper you will find higher levels of depression, I know you will find higher obesity rates, and people excited for their future trip to dense Paris. If the federal government subsidized homes that could hover 100 ft in the air and were the size of a football field so long as the schools were good people would love those too. In fact they would scoff at the suburbia back on land. But the government cannot pay for that lifestyle forever just as it really could’t with the last housing market collapse. Unfortunately they just went right back at it. There is a time and place for government to take over because the private market fails, think healthcare, but there are times and places we just need the government to stop propping up a stale idea. You never answered my question. How do these all-wise rulers who contradict the will of the people get their power to do what you want? Well this is a difficult question that you asked in a bad way. Our leaders are not wise because they continue to prop up bad ideas on housing that are driving climate change and bad, unhealthy lifestyles. Despite being a registered progressive sometimes I wish the republicans did in fact actually shrink the subsidies that support the single family suburban hell scape that Americans have come to love. I say actually because the reality is republicans are for huge government too, it is just their stupid idea of propping up the economy of the past and unproductive rural counties. or the simple answer to your question is we are a republic not a democracy. People do not get the direct vote on the vast majority of things and thank god for that. your picture of Choiqing is no worse than every tract housing suburban wasteland in America. The difference is opportunity is statistically more abundant in this picture than suburbia and this is much better on the environment and climate change. I bet the food is better than McDonalds or Chili’s as well. Look if you don’t think adding enough supply can make a place affordable then do you believe decreasing supply does? You can’t have it both ways. One of these has to be right. The climate change issue is easy to solve technically. So now we have to wonder why density? What is the point of forcing people into cities that they don’t want to be in. Manhattan was much denser in 1915 than it is now. People didn’t like it and moved away. So what? They pay taxes for their roads, etc. We can’t make everything pay-as-you-go with tolls on every little cul-de-sac and side street. Things are hard enough to manage. In the US no one forces people to move to the suburbs. No one prohibits them from moving to cities. Politicians vote against voter’s wishes all the time. Then they become ex-politicians. As for Paris, “nice place to visit, but I wouldn’t want to live there.” Neither do most French. Too bad you are anti-democracy because you’re stuck with it. You will need to convince enough people you are right. You haven’t convinced me. Double the land area of NYC and 25% of the population. It isn’t dense therefore it’s cheap. It took me 2 minutes to find this on the net. You can’t be bothered to spend 2 minutes making sure you are saying anything remotely accurate? I’m not going to bother with this any more. Wait so Hong kong is not the most expensive. I am entirely confused. Or do you just find whatever information supports your world view. 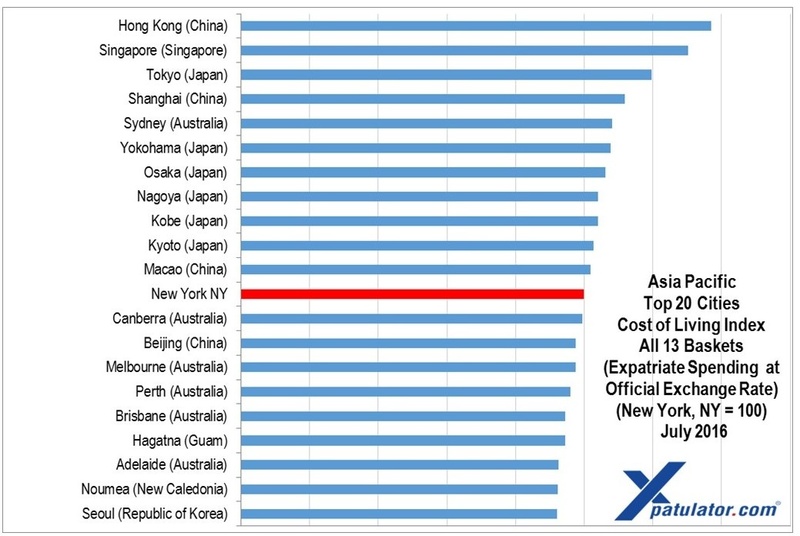 You show me charts that have singapore being more expensive and less expensive than New York. Which one is it? I have a new declaration. I don’t care. I should not have waded into world cities for which I do not have any understanding of the on the ground situation existing there. I do understand American cities though. All evidence suggests that restrictive land use controls and burdensome permitting processes are the reason our cities are expensive. That is what explains the difference in construction costs for identical structures between places like San Francisco and it’s opposite Houston. It is not density. You should diversify your references by the way, or is it your blog? Electric cars will not solve climate change. Just as with everything we simply need less of everything. Less cars, smaller apartments, shorter commutes, less sprawl, Less crap filling our homes. Better than heat pumps are geothermal heat pumps. We need to connect refrigerators to water heaters and other innovative (for America) ideas. There are tons of references and citations in those blogs. You have no references at all. None. Zip, zero, nada. You apparently can’t even look up the density of Houston. Go ahead – make people want less of everything. Make them saints while you’re at it. Sources? Citations? No academic specializing in urban economics agrees with you. Here’s that quote from Fujita (Urban Economist at U. of Penn at the time), and Thisse, of London School of Economics. I know exactly the density of Houston. Houston is complicated because it is a mix of low density sprawl and isolated sections of high density. The story that is trying to be told by you is that density in and of itself is why cities are unaffordable. I admitted that yes construction costs will make taller buildings increase in cost per sq ft as floors are added and more expensive materials are needed. To that end a newer highly dense city will be more expensive. 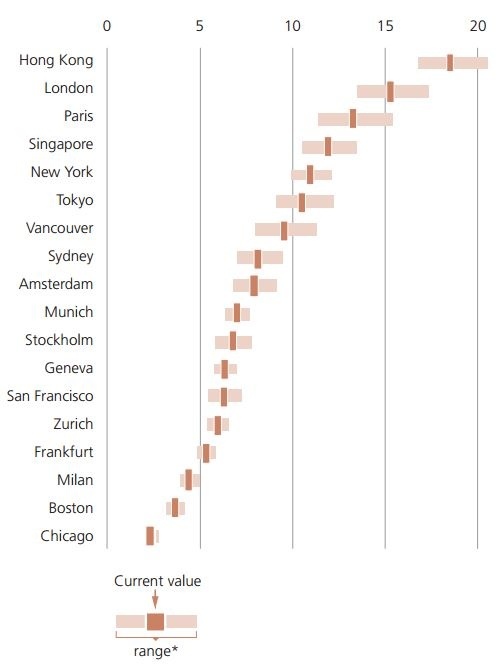 But that does not explain why the most desirable dense cities, especially older cities that have buildings that are already paid off, are so much more expensive then other places. This can best be defined by the MPCC (minimum profitable construction cost). “But lack of land can’t be the whole story. Many expensive parts of America, like Middlesex County Massachusetts, have modest density levels and low levels of construction. Other areas, like Harris County, Texas, have higher density levels, higher construction rates and lower prices. Across Massachusetts towns, Glaeser and Ward (2009) found that there was more construction in places, like Chelsea and Revere, with higher initial density levels and modest prices. Here is a comparison of cities, certainly with different densities, but again it comes down to who is adding the units and who is not. I have a ton of links for affordability. You want them to keep coming? I appreciate your second paragraph here. It was the most honest paragraph from either of us thus far. It is why I hate online discussions for which I normally never look at. In our back and forth it has been lost that we probably would enjoy each others company and would have good conversations. If this stuff was less complicated we could find it less difficult to come up with solutions. But it is extremely complicated. Every city even in the states has it’s own unique problems that factor into the housing market. Many of those lived experiences are not reflected in quantitative data but more so in qualitative data. We need a whole book just to decide whether median or average is the best metric. I would like easy answers which is why I think the approach of this website is what I like. It says we don’t have to find the answer in a complicated way. Rather if we eliminate the protections and subsidies for suburban living can it survive. I have my doubts it could, at least in it’s current form. People can adapt well if they need to pay directly for all the costs. If the true costs of single family homes was paid by those owners they would live in an apartment in a dense city and be happy. I first visited Portland waaaay back and it was love at first sight. The city and the environment around it is just perfect for me. Bike city, preserved all the old 1930s structures – love the main public library. Columbia River is beautiful. I cried a little when I heard it was burning. If there had been any jobs in high tech when I left Michigan I’d be there now. My occasional visit back there has only deepened my appreciation and feeling for the place. I do agree we would likely get along fine. I had a long intense discussion with someone of similar views to yours and it was productive in that we sort of got a little more into what the differences in our understanding of the situation. We all want social justice and housing to be affordable but how do we get there? I am informed by having been raised on the East Coast – Washington DC to NYC and it’s suburbs. Much of that area is very stable, reasonably prosperous and generally affordable. Lower Manhattan and now Brooklyn have been built up and Harlem is gentrifying but the small towns like East Islip are not much different than 30 years ago (looking at Google street views of where I used to live). With stability, housing can sort itself out and everyone gets a place to stay. When you get hyper-growth unevenly distributed places like San Francisco and parts of Seattle become unaffordable and people look for a solution. Amazon is showing the way with their goal of expanding elsewhere. They evidently are hated by most Seattle residents for bringing in a lot of high paid high tech workers who bid up the price of housing that long time residents can’t keep up with. My friends and I are betting on either Detroit (millennials are moving in and making the downtown very hip) or Cincinnati (lovely rolling hills on the banks of the Ohio, 2M in the metro area). Silicon Valley would see the same resentment of Google, Apple, and Facebook but prop 13 keeps people from seeing their property tax double every 2 years so it is rents and traffic. Spread the wealth. Many of those high tech workers I meet in Silicon Valley are from Michigan, Wisconsin, Ohio, New York. They would have loved to stay near family and friends but the jobs are here so here they come. And come, and come. Good growth spread around and everyone benefits. Focus intense hyper-growth all in one or two places and no one benefits. It is late and I’m tired so enough for now. I am so glad we turned our conversation around. What frustrates me is that the story of our economy resembles the story of drug epidemics. Follow me on this. When the mass suburbanization of America happened minorities were left in dying cities. The federal government encourage white flight and helped subsidize suburbs. And the country was more than happy to put the final nail in the coffin that was our cities. At the same time the crack epidemic was hitting black communities hard. The answer to that problem was jailing them. Now we have an opiod problem which is effecting white communities and we see the problem as one of national problem that must be fought together and with empathy. Also what is happening is economic forces, despite federal government support for suburbs and small towns, are shifting back to cities. And the national conversation is about how we must save our small towns and rural communities, that they cannot die. Of course if a town was built because of natural resource which are now fully extracted it must continue in perpetuity. Some place just need to die. Just like Detroit needs to shrink dramatically. It is just wrong that we dedicate so much resources to preserving white communities that have past their prime but not the same for minority communities. Distribution of the new jobs is concentrated that is true. Take Portland for example. Should we be surprised that Under Armour would like a presence here? Nike, Adidas, Columbia, and others are here. The pool of labor with relevant skills is high here, it makes sense. To encourage Under Armour to not move jobs here would require someone paying for those jobs to be elsewhere. These forces are strong and maybe it is time to stop resisting. So how to we protect affordability and the existing minority communities in our big cities. Make sure that hyper growth is matched by hyper construction. If whatever city gets Amazon HQ2 does not build 50,000 new housing units then the delta (correct math term?) between units built and people moving in will be the amount of low-income people moved out. Yes this means a place like Portland will have to look different. Those 1930 homes you appreciate need to go. And I am in a 1911 home that I would shed not a tear if it were bulldozed and replace with a large apartment building. I have read quotes from famous architects (for the life in my cannot remember who) who were perfectly ok with their buildings to be replaced in the future. There is always a need for change and turnover. If zoning were to get out of the way we could build the buildings that would match the needs of the future. Absent that we replace small single family homes with large single family homes which does nothing good. Another thing about stability is that what I see happening on the west coast is that people are moving to the most affordable big city they can find. LA and SF are too expensive so people go to San Diego. That becomes too expensive then Seattle, and now Portland. Next Sacramento. If all these cities eliminated land use controls there would not be that downward filtering and stability in most of these cities would return. Of course if LA were as dense and walkable as Paris I would pack my bags in a heart beat. And I suspect many others would. Maybe there would be less stability there. So I did a little research, not necessarily academic which I am doing enough of in school to not want to do it elsewhere. Bu a fun site I stumbled upon is numbeo.com. It appears to be user generated information which will give biased data for sure, yet can be more practical by extracting out the hyper rich. But I found that according to this data set Guanzhou (most populated city) is 403rd of 544 in a cost of living index. $576 for a one bedroom in city center. Changchun was $360 for one. Nanning was $278. Looking at density numbers appears not to be relevant. I suspect the official border goes on forever because some of them look like New York City but have density of a rural town. This was fun Michael. I hope to stumble upon you again and we have a better starting point next time. I will no longer be posting to this but I will read if you respond. But I just spent an hour doing one thing when I should have been working on a paper. 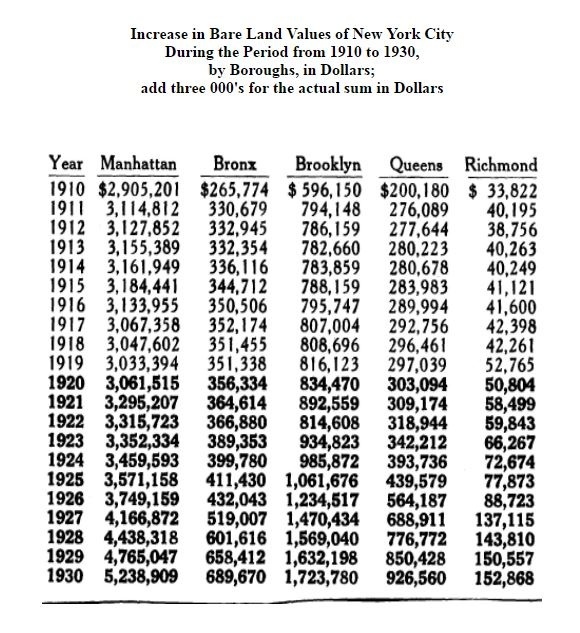 And was Manhattan more expensive in 1915 than it is now? I think not. “I think not.” Why do you “think not”? It is all relative to what you can afford. The rent may have been $13/month but for someone making only $0.60/day (= $18/month for a 7 day work week) it is over 67% of income. So moving out of Manhattan was a way to escape exorbitant rent-gouging due to the housing shortage which in turn was due to a rapid influx of immigrants. The real estate boom continued through the 1920’s to 1929. It got so extreme that if you had put equal money in both real estate and the stock market in 1929 you would have done better over time with the stock market (bad as that was). The subways enabled people to leave expensive Manhattan for cheaper farms and fields made newly accessible by the subway. Why did you not look up the costs of rents in NYC in 1915 if you doubted it? It didn’t take me more than a few seconds to Google the question and another five minutes to read the first article I cited above. What about compared to 1904? The CPI has increased by a factor of about 20 since then (http://www.economics-charts.com/cpi/cpi-1800-2005.html ). So $13 a month then is about $260 a month now – rents lower than virtually anyplace in the United States. Were there people who could not afford even that puny sum? Sure- and there are now. The difference is that to not afford Manhattan in 1904, you had to be pretty poor. Today even the middle class is squeezed out- in a much-less-dense Manhattan.